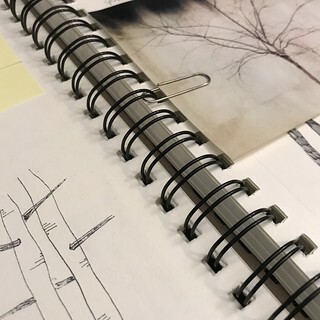 If you're using a spiral bound notebook or sketchbook, you can tip in items using a paper clip. This allows the item to easily flip independently of the facing pages, and it gives you access to the back of the item. And yes, I'm obsessed with trees lately.